A 3D animated movie about the incredible life of Mata Sahib Kaur - the epitome of motherhood, exemplar of courage & symbol of strength. A non-profit movie that is 'For The Sangat - By The Sangat'. In the 17th century, the Indian subcontinent had fallen victim to countless invasions and atrocities. People's homes and wealth were pillaged, their right to live a dignified life was denied and their right to practice faith freely was assaulted. Forced religious conversions had become the norm. Into this dangerous climate... the Khalsa was born. 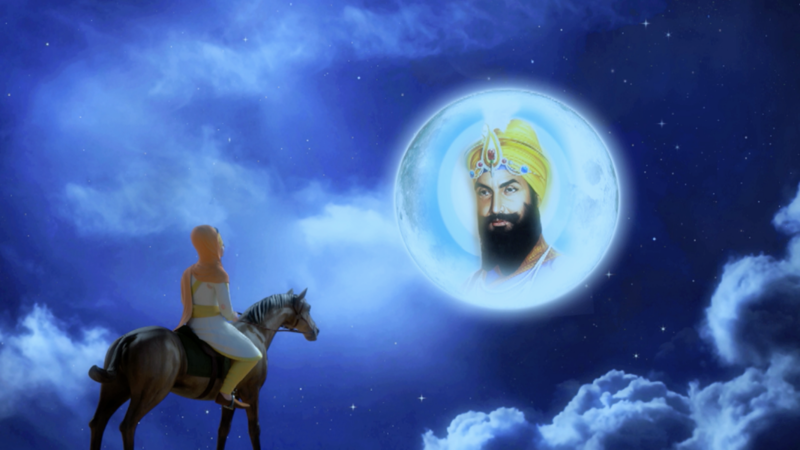 The Khalsa was a universal brotherhood of warrior-saints. Their primary purpose was to protect the meek from further oppression and tyranny. 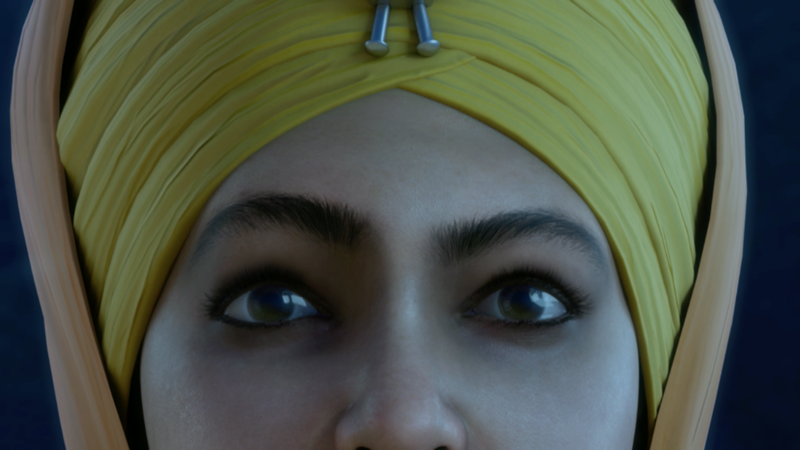 Swearing to defend the people’s right to live freely, the Khalsa adorned a unique physical identity, as per their divine mission: to stand out from the crowd, be ever-ready to protect others and continually fight for humanity. Such was the extraordinary birth of this Khalsa at Anandpur Sahib in 1699, whose spiritual father and mother were Guru Gobind Singh and Mata Sahib Kaur. This movie is about the life story of Mata Sahib Kaur (forever immortalised as the Mother of the Khalsa - the mother of an entire nation). It explores her spiritual and temporal leadership qualities, and the socio-religious contributions she made to society during the most turbulent times the country had ever witnessed. What is Motherhood: The Journey of Mata Sahib Kaur? 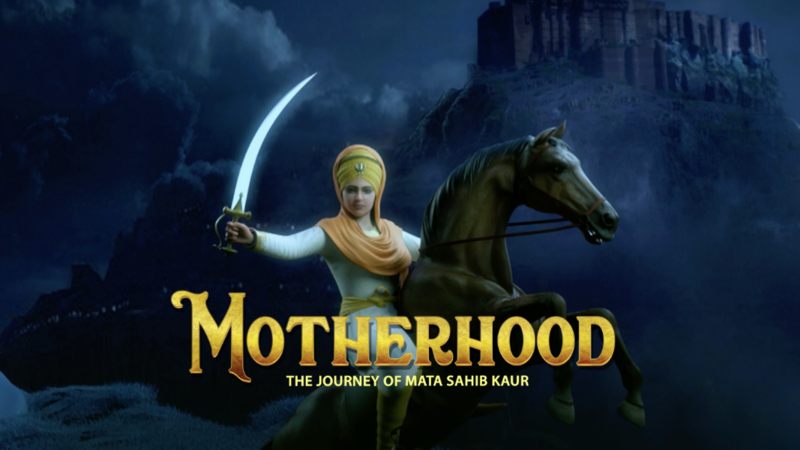 Motherhood: The Journey of Mata Sahib Kaur is a 3D animated movie, scheduled to release in Mid 2019. For the first time ever, this movie will depict the amazing life story of one of the greatest (but mostly unknown) female leaders in world history - Mata Sahib Kaur. It will shed light on who she was, what she did and how she uplifted the communities around her. It is a non-profit movie. All profits will be reinvested back into social welfare projects, not just in impoverished areas of India but also around the world. Mata Sahib Kaur was an epitome of the selfless love that is shared between a disciple and their master. 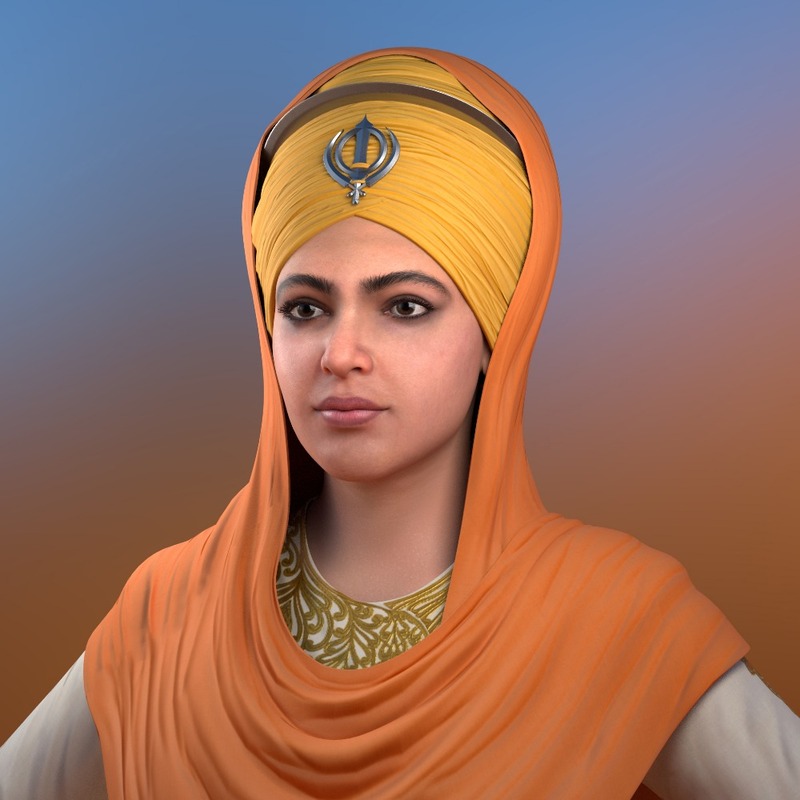 Such was her love that, under her Guru's instruction, she went on to become an armed warrior and managed the entire army of the Khalsa. Not only the Mother of the Khalsa, Mata Sahib Kaur can be remembered as the mother of the world, due to her selfless, compassionate and inclusive nature. She helped everyone who entered her court, regardless of religion, caste or creed. For example, she uplifted poverty-stricken Hindu and Muslim families when they asked for financial help, covering all the costs and preparations for girls’ marriages. She also provided relief to drought-stricken farmers, by having wells dug in their villages - alongside numerous other projects. Why are we making this movie? The movie is a celebration - of devotion, selflessness and strength. It will provide society with a new female role model - an example of grace and greatness from Sikh legacy - and will remind other women and girls how much they can achieve. We strongly believe that Mata Sahib Kaur’s story needs to be brought to light and shared with the world. She was not just a leader for the Sikh faith; she was ‘a universal mother, a spiritual mother, a mother for all’. What are the social benefits of the movie? This is an unheard-of project, the first of its kind. It will add a new chapter to the textbooks of world history, providing a richer and fuller picture of Sikh and Indian history, which will educate and inspire all. It will promote the humanitarian values of inclusiveness, selflessness, devotion, sacrifice and equality, as taught by Mata Sahib Kaur. It will enhance the self-esteem & self-respect of underprivileged women in the Asian subcontinent - predominantly in parts of Northern India - but also around other parts of the globe. 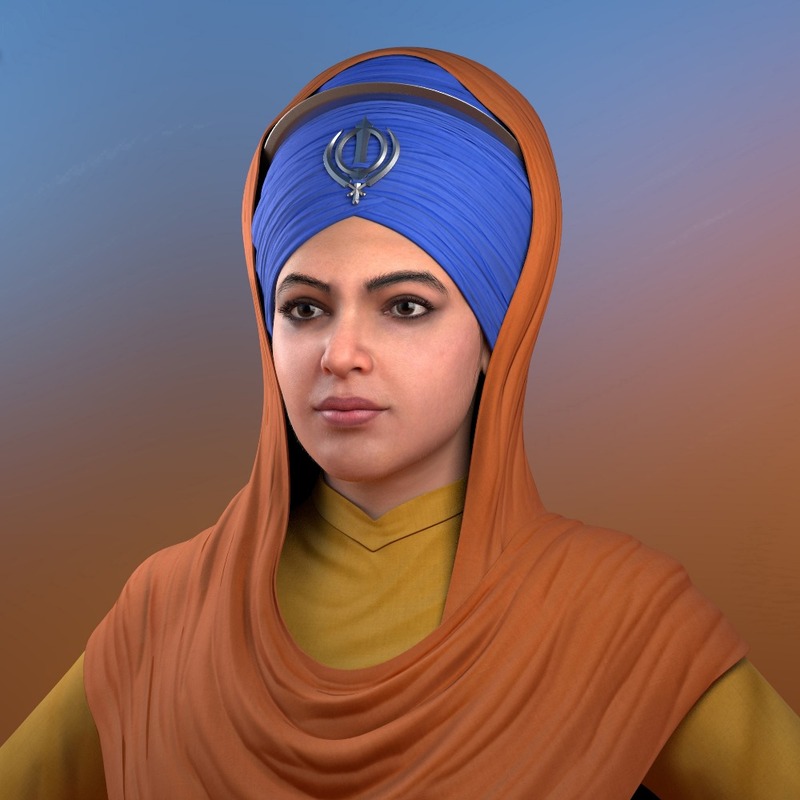 It will help to uplift the status of women in society as a whole, by bringing to light the story of a charismatic woman and well-respected spiritual pioneer, from the golden pages of Sikh history. It will help reconnect the youth and coming generations to the glorious past, reinforcing the universal and philanthropic values that were taught by Guru Nanak. Motherhood: The Journey of Mata Sahib Kaur is currently in the pre-production stage and we need your support! This is a rare global initiative which is being made ‘For The Sangat - By The Sangat’ (Sangat: like-minded society). Our target is to reach is £2.5million and we believe this can be done with the worldwide sangat coming together! This is why we're attracting international support - the Sikh diaspora all over the world can see the necessity and benefits of this movie. 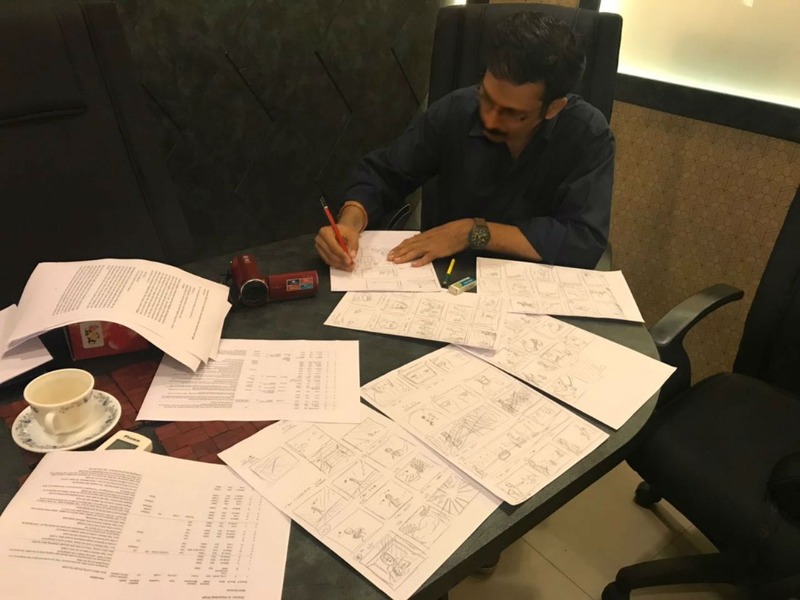 £.2.5 million will create the entire movie - these costs include everything from pre production such as storyboards, to production like animation and rendoring, and all post production activities such as cut-pro rendoring and sound mixing. 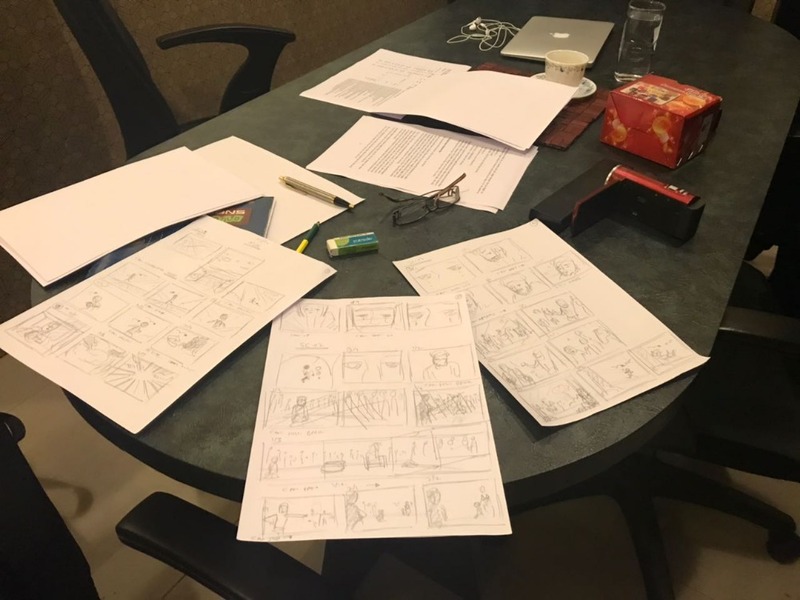 Pre-production is ongoing - design and development of 30+ primary characters and 150+ secondary characters, environment building and storyboarding. Alongside animation costs, your donations will go towards music studio recording costs, artist fees and dialogue vocal costs. 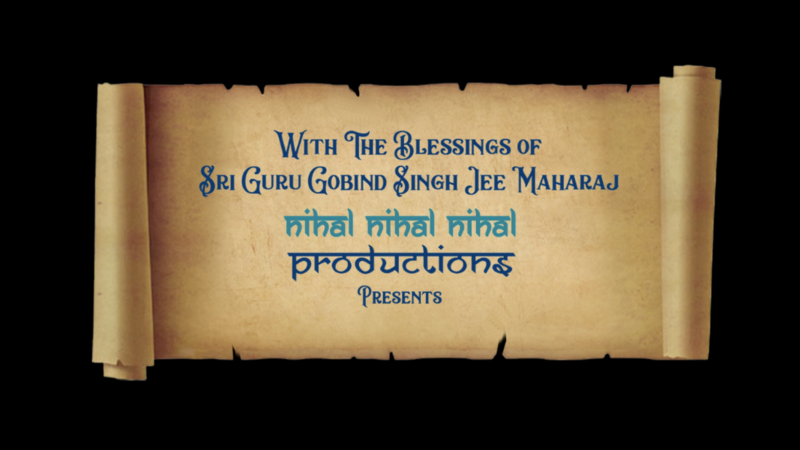 Karandeep Singh (Story-Screenplay-Direction) is managing the withdrawal of funds raised from GoFundMe, and the transfer of the funds to the respective partners such iRealties and many others who are helping in making this historical movie! We are working closely with iRealties, the industry-leading animation company which we have chosen for this historic project. Funds raised through GoFundMe will form part of the animation costs and directly paid to iRealities Ltd. So please donate whatever you can... no amount is too big or small! Your generous donation will help us to stay on target and meet our expected release date of Mid 2019. This movie is history in the making. It is the first ever Bollywood Movie to be made by the community! We want you to become part of The Journey. Let’s all unite and raise enough money to make this grand vision a reality. 1. Raising enough funds to complete the work. We try to ensure the targets are achievable and realistic, by balancing the production timeline with the level of support we are currently receiving. The rest of the money will be funded from other sources. We firmly believe that a strong community is the best way to foster large scale support for the movie. That's why we are already building a global fan network. If Motherhood’s fan base keeps growing, it will display to potential investors that there is a demand for the product, therefore increasing our chances of being fully funded. 2. Completing the work on time. We have selected our team very carefully, based on their skills and passion. We are working with a very strong and experienced animation studio called iRealities. 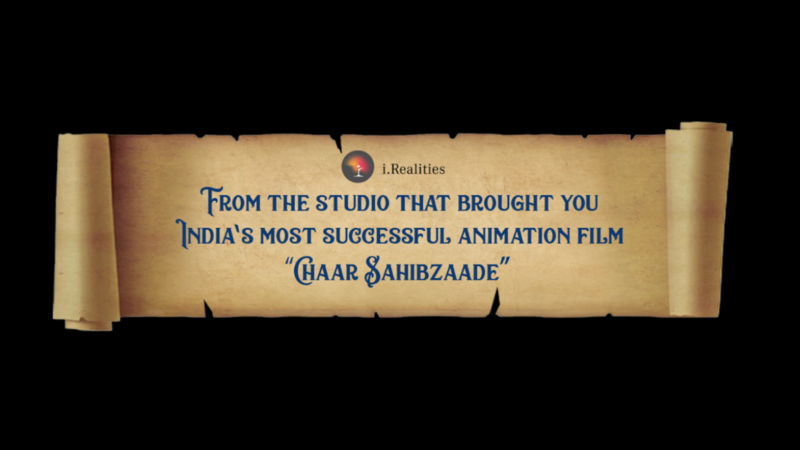 This is the same studio that was responsible for making India’s most successful animated movie to date, Chaar Sahibzaade. So we have every faith that the team, along with ourselves, will work tirelessly to complete the work by the deadline, as well as to the highest standard possible. 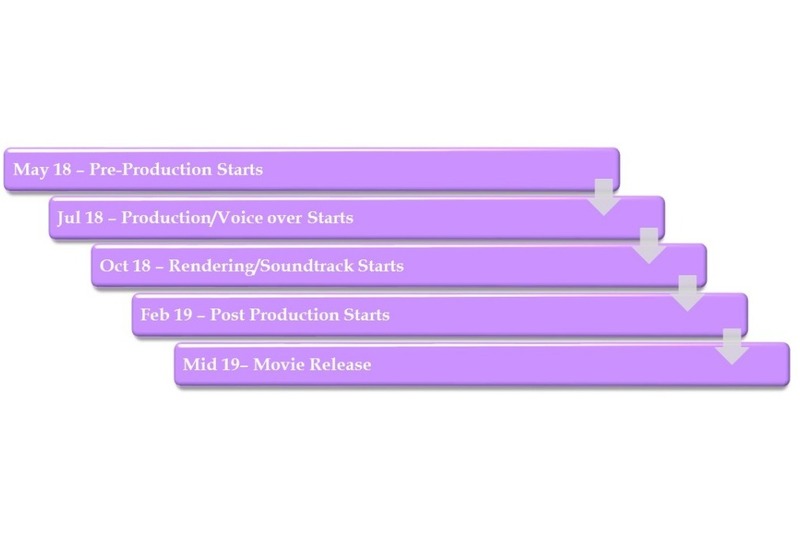 We will send out regular updates, showing the behind the scenes progress of the movie's production. If any unexpected delays cause us to slow down or halt, we will keep all of our supporters updated, as well as providing possible solutions and completion dates. Your donations are making this film a reality! 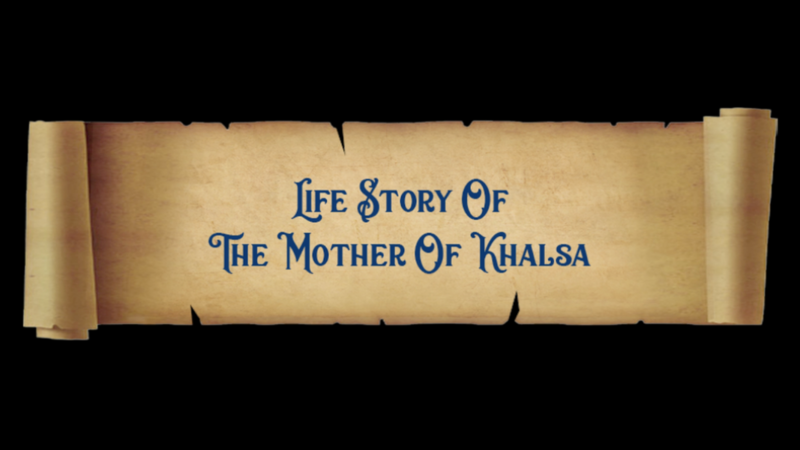 The exciting release of the teaser preview which has introduced Motherhood: The Journey of Mata Sahib Kaur is available to view now! We have reached half way to our target of £30,000!